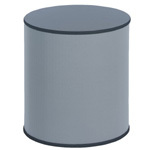 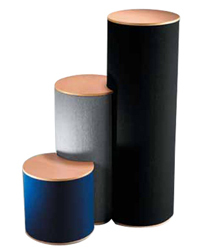 These plinths are 515mm deep to compliment other units in the Standex range of folding counters and display cabinets. 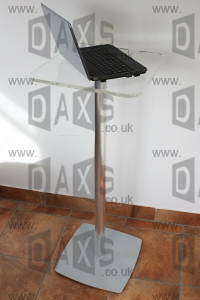 CLICK TO SEE STANDEX IMAGE GALLERY. 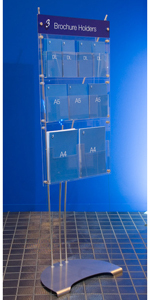 Robust all-aluminium plinths can be made to your specification in different styles and finishes - one-piece or with bolt-on aluminium tops and bases, with or without castors. 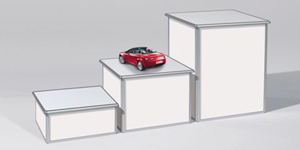 The standard stock finish is natural (extruded) aluminium, but powder coating to any RAL paint reference is available, 'made to order'. 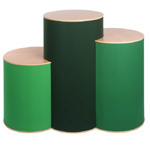 Specialised hammertone and metallic colours can also be supplied. 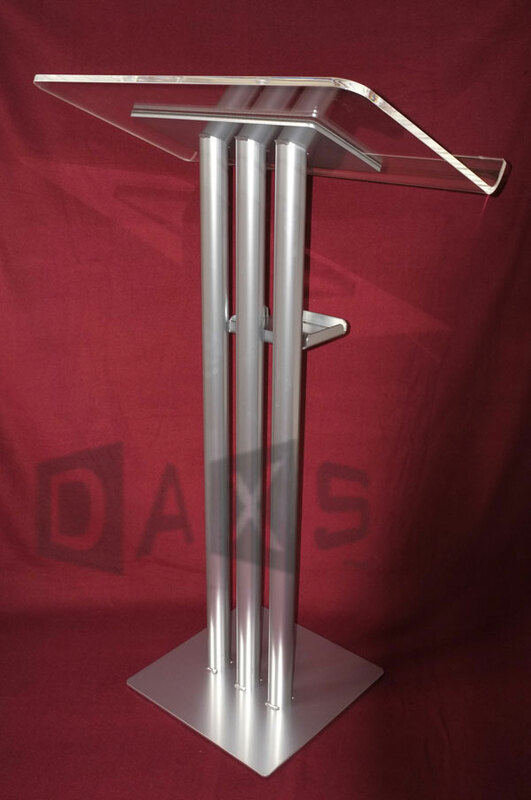 Unique DAXS plinths and matching lecterns combine Trilite aluminium truss and quad sections with detachable acrylic tops and bases, in a choice of heights and finishes. 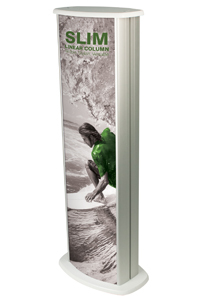 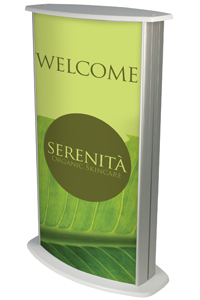 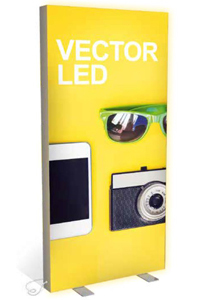 Plinths can be easily branded by attaching a 'snap open' aluminium poster frame to the front tubes. 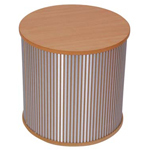 For further information and costs, please phone to discuss your requirements. 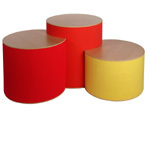 Physique units are fully enclosed with a strong flexible tambour wrap covered in laminate or fabric (velcro compatible) finishes which you can simply peel back to access the useful storage space inside. 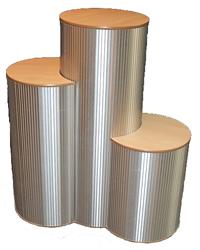 Choose between beech, brushed aluminium, Smooth / Prelude (P) fabric, for the wrap - with birch, silver, black or white laminate tops. 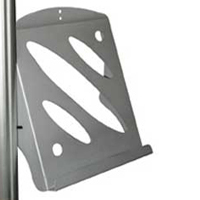 Carry bags and cases are available separately if required.